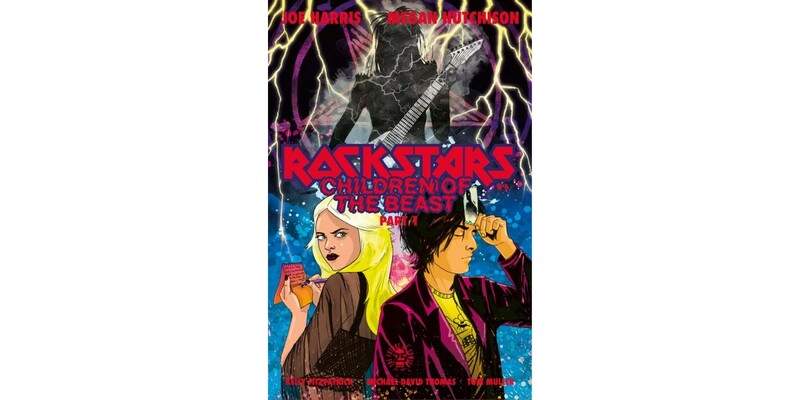 Writer Joe Harris (SNOWFALL, X-Files) and artist Megan Hutchison (An Aurora Grimeon Story: Will O’ the Wisp) will launch a new story arc in their ongoing series ROCKSTARS this August: Children of the Beast. In ROCKSTARS #6, self-proclaimed “rock ‘n’ roll investigators” Jackie Mayer and Dorothy Buell uncover a sinister connection between an ‘80s metal legend and the hot, new shredding sensation Dani Dangerous. “Finally, I get to draw the dreams that I envisioned when I was a kid listening to metal albums before my parents got home,” said Hutchison. ROCKSTARS #6 (Diamond code: JUN170790) hits comic shops Wednesday, August 16th. The final order cutoff deadline for comics retailers is Monday, July 24th.